The scent of oatmeal and honey is warm and cozy, like breakfast at home. 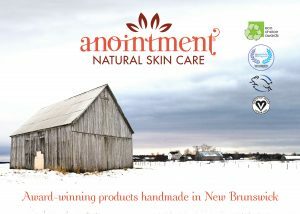 Featuring certified organic Canadian oats grown in Nova Scotia, New Brunswick and Prince Edward Island and unrefined wildflower honey from our backyard beehives, gentle oatmeal and honey soap helps soothe itchy and irritated skin. Fait de l’avoine certifiée biologique cultivé au Maritimes et de miel de fleurs sauvages des ruches de notre arrière-cour, le doux savon d’avoine et de miel apaise la peau irritée qui pique. I use the healing skin ointment every morning and after every bath on my bambino. He has serious eczema and this is the only balm that works (and has cut down on our steroid cream use incredibly). Wonderful products.